What's Your Score: How Many Of These Restaurants Have You Eaten At? 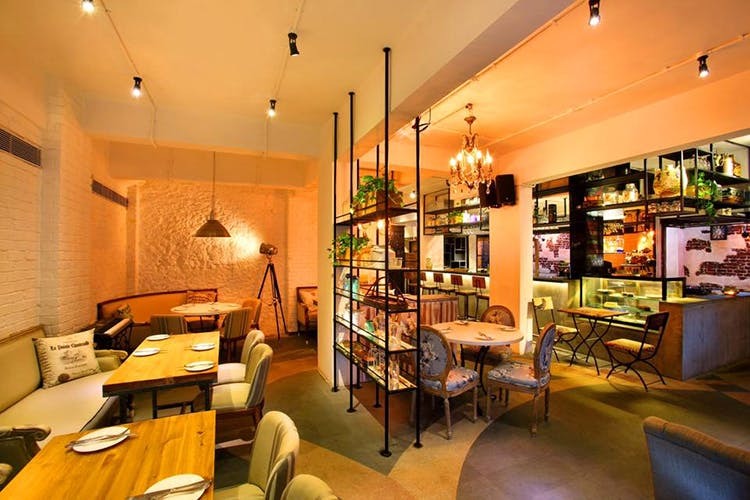 Dadar, an area that can be touted as your go-to place for everything when it comes to shopping, is also home to some of the best restaurants in Mumbai. Whether it’s Chinese, Italian or Thai, Dadar has a burgeoning world food scene. Check out some of the restaurants in Dadar that have made it our list. Whenever you find yourself admiring South-East Asian food, make sure you head to China Bistro. The fine diner doesn’t only serve Chinese but also doles out Japanese, Vietnamese, Korean and Indonesian to entertain your tongue. From squid ink that will play tricks on your taste buds to silken tofu that justifies its name to the tee – China Bistro is a ride. An oldie but a goodie, Tamnak Thai is a legendary eatery many swear by. Serving authentic Thai dishes like Kaeng Jeut Tao Hoo which is bean curd soup, Tom Yum Kai, Moo Phad Phrik Sod, Satay Phak and more. Being one of the oldest Thai joints in the city, you will find old loyalists eating their way to salvation here. Owned by Chef Sanjeev Kapoor, The Yellow Chili is probably the only entity that stands at Star Mall in Dadar. The fine diner serves up lip-smacking Indian fare that you can rave about for a few days. Dishes like Beet gajar ka shorba, prawn pepper rasam, Irani lollipop, tari wala murgh can be expected on the menu. Located right by Dadar beach, Terttulia is your continental haven when you’re in the mood for some spaghetti Aglio olio coupled with a glass of wine. The eatery usually attracts the creme de la creme of that area and is always packed. Make sure you book a table in advance here. This one’s neighbour to China Bistro. Gypsy Chinese has been your friendly neighbourhood Chinese eatery that you would go to with your fam. They serve Chinese, Vietnamese and Thai, so you better go here prepared to pig out on dumplings, soups, noodles and seafood in general.